Mar 1 Love, Eat And Inspire: Is Sydney The Ultimate Capital Of Culture? It’s hard not to think of Sydney as a dynamic mosaic of cultures that comes from the linguistic, ethnic and religious diversities formed by various waves of immigration. Sydney is a vibrant city with a global scene of cultural activities that you can enjoy a flavoursome experience during a holiday break. It takes no more than a few days to take the pulse of this giant beating heart of a culture that is constantly evolving, changing and opening new horizons for all, regardless of their sexuality, country of origin, or history. So book your next holiday to Sydney to learn to love, eat and be moved the Australian way as a new step into a bright and dynamic world. Mardi Gras is a world tradition with a variety of culture and celebrations. While the 12-day long Venetian Carnival, or Carnevale Venezia, is renowned all over the world for its beautiful masks and costumes, not many have heard of how Sydney likes to celebrate Mardi Gras. In Australia, Mardi gras is entirely dedicated to the LGBT community so that the three-week long celebration is a testimony of acceptance, love, and humanity. Regardless of your sexuality, the parade brings a lot of entertainment for the spectators and brings the town to life with bright colors, dancing and fancy glitter all night long. There is no better way to voice the global celebration of the Lesbian, Gay, Bisexual and Transgender community, and each Mardi Gras begins with the raising of the inimitable rainbow flag. Everyone is welcome to join in; the LGBT culture is spreading love and entertainment for the three weeks of the celebration. Sydney’s food culture is extremely rich and benefits from the large waves of immigration that have given the town its particular profile. The cuisine from Greece meets Cambodia and Brazil, all within a few streets from each other. If you love Asian-style food and are enthusiastic about great thai food Homebush, by the Olympic Park, is the right place to visit as you will be able to taste the traditional elements of authentic Asian cooking with new flavoursome twists and combinations. If you prefer the Mediterranean culture, have a look at Sydney’s little Italy where pizza and pasta taste just like in Bologna! 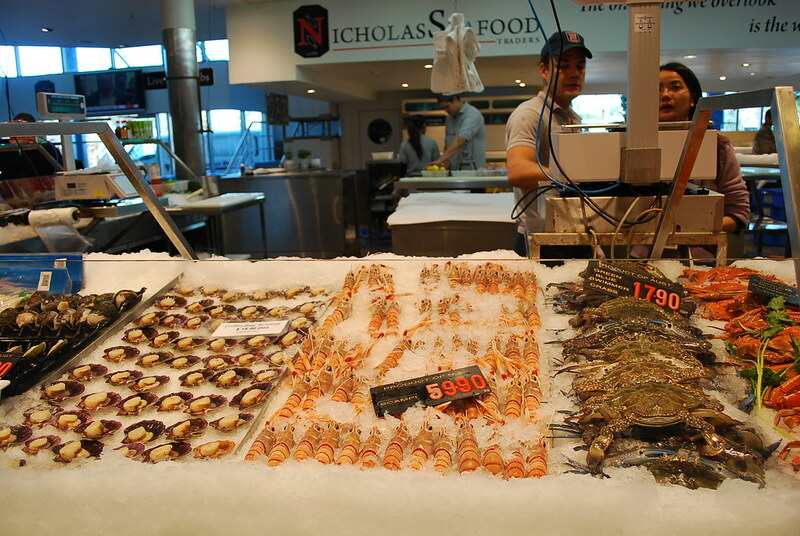 It’s its multicultural immigration that has given Sydney a special place in the heart of all gourmets. Sydney marries music, performing and museum arts in a pearl of culture that is has awarded it the title of Australia’s arts capital, along with Melbourne – the two cities have developed a form of friendly rivalry about culture. If you enjoy music, do try to assist to a live performance of the Sydney Symphony at the Opera House. International artists are more likely to play in the City Recital Hall. But any time is a good time to go to Sydney: It’s a haven for opera, concerts, theatre, and exhibitions with shows that run through the entire year. Visual arts, such as at the Museum of Contemporary Art do like to play with psychedelic visions and distortion of the reality to create a breathtaking display for the pleasure of the visitors. Let Sydney’s culture inspire you and, who knows, maybe revive your artistic flame.